Each year ROW seeks to hire hard-working, fun-loving and motivated individuals as swampers for our multi-day river trips. Swampers join a highly experienced staff of fun-loving, thoughtful and talented outdoor professionals with a tremendous passion for the natural world. Swampers assist these guides in the daily set-up and take-down of ROW's luxury river camp as well as with other logistical camp duties. Swamping is hard, physically demanding work. Yet it is immensely rewarding. 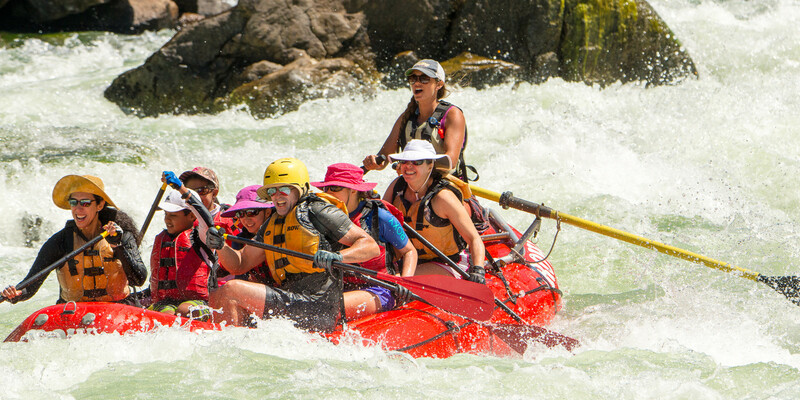 Swampers spend their summer traveling on the cargo raft down beautiful whitewater-filled river canyons, interacting with people from all over the world and sharing the wonder of nature with others. This is a great way to learn more about what professional outdoor leadership entails and many former swampers have gone on to a long and fruitful guiding career at ROW Adventures. Interested? Then apply to join our team.